Absence of blockbuster drugs going off-patent is one of the reasons for dip in pharma exports. New Delhi: Shifting of manufacturing bases to overseas markets by certain domestic companies and absence of blockbuster drugs going off-patent are some of the reasons for dip in India's pharmaceutical exports, Parliament was informed recently. In 2016-17, the exports decreased by 0.43 per cent in value terms and 6.95 per cent in volume terms, Minister of State for Commerce and Industry C R Chaudhary said in a written reply to a question in the Rajya Sabha. 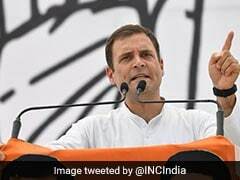 He said some of the reasons cited for a decline in exports include absence of blockbuster drugs going off-patent; consolidation of buyers in the US into three large groups with significant bargaining power; and some of the Indian companies shifting their manufacturing bases to the EU, US and other markets. The minister also said that large number of Abbreviated New Drugs Applications were approved by the USFDA which resulted in increased competition in the generic market and led to price drops. To boost the exports, he said the commerce ministry has increased incentives under the Merchandise Exports from India Scheme for the sector.